The MCHS Soccer Aces traveled to Harrisburg for their first match since the St Anthony tournament, beating the Bulldogs 7-0. Brady Decker scored the first goal in the 5th minute on an assist from Beau Stipp. Rayce Loudermilk scored 4 minutes later, assisted by Ethan Belt. Belt then scored 1 minute later on a hustle play, blocking a clearance attempt from the Harrisburg goalkeeper & then gathering the rebound & putting the ball in the net. Stipp then scored 3 goals in between the 16th & 26th minutes, on 2 assists from Loudermilk & 1 from Decker, giving the Aces the 6-0 halftime lead. Kaleb Johnson scored the final goal on a penalty kick 2 minutes in to the 2nd half for a 7 goal lead, which cut the remaining game-time in half. The Aces took 29 shots, 15 on frame, created 12 additional scoring chances, had 6 interceptions & 4 ball recoveries. Goalkeeper Tye Kanipe had 2 saves. Harrisburg took 1 shot on goal, which was on frame. There was some good and bad in this one. To hit on the good first, we came out aggressively, which is a mindset we've been talking about starting out with for awhile now, especially against teams we feel we should perform well against. That allowed us to take a quick lead & gave us more flexibility in our decisions. We also did a good job of using Tye's feet to shut down attacks & keep possession, which is something we're getting better at doing as a team. As to the bad, we had an injury in the last minute of the game to Reese Linson, who's been playing well and giving us a lot of quality minutes. We're hoping it's not major, but we don't know for sure yet. In the meantime, that's going to be a lot of minutes that other players will need to step up and fill for us. That's something we feel the guys can do, but no doubt it'll hurt us if we lose him for an extended period. Play-wise, there were too many times where we resorted to just kicking the ball long upfield and that won't work much against the stronger teams, which we starting facing off against in our next match. Lastly, our finishing was the sloppiest we've had so far. We've been pretty good about keeping our shots on-frame this year, but in this one we were basically 50-50 in that regard. We've had a great start to the season, outperforming teams that, honestly, we feel we should be able to. It's important that we continue to do that, but now we'll start to see how we look against some stronger teams, which is something we really need to be tested with right now. Whatever this next stretch of games holds, this team is young & has shown us enough potential to raise our expectations for them. 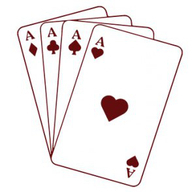 The Aces currently stand at 4 - 0 (0 - 0) on the season. They'll open Big Eight play with their next match when they host Mt Vernon IN at 5:30 pm on Tuesday September 4th at the WVC field.